Paz Arroyo, Glenn Ballard and Iris D. Tommelein (2014). “Choosing By Advantages and Rhetoric in Building Design: Relationship and Potential Synergies.” Proc. 22nd Ann. Conf. of the International Group for Lean Construction (IGLC 22), Oslo, Norway, 25-27 June, pp. 391-400. Arroyo, Paz, Iris D. Tommelein, and Glenn Ballard (2015). “Selecting Globally Sustainable Materials: A Case Study Using Choosing by Advantages.” J. Constr. Eng. Manage., 10.1061/(ASCE)CO.1943-7862.0001041, 05015015. Ballard, Glenn (2000a). The Last Planner System of Production Control. PhD Dissertation, University of Birmingham, UK. Ballard, Glenn (2000b). “Positive vs negative iteration in design.” Proc. 8th Annual Conference of the International Group for Lean Construction, IGLC-6, Brighton, UK. Ballard, Glenn (2005). “P2SL Report: Current Benchmark in Target Costing.” Project Production Systems Laboratory (P2SL), University of California, Berkeley, CA, November 18. Ballard, Glenn (2008). “The Lean Project Delivery System: An Update.” Lean Construction Journal, available at leanconstructionjournal.org. Ballard, Glenn (2009). 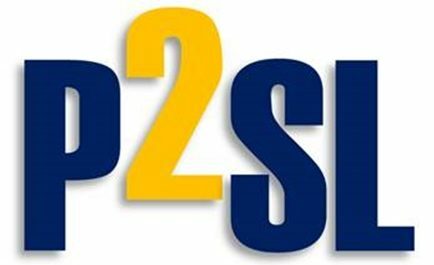 “P2SL Report: Current Benchmark in Target Costing.” Project Production Systems Laboratory (P2SL), University of California, Berkeley, CA, November 28. Ballard, Glenn (2012). “Should Project Budgets Be Based on Worth or Cost?” Proc. 20th Annual Conference of the International Group for Lean Construction, San Diego, CA, 761-770. Ballard, Glenn, Jamie Hammond, and Romano Nickerson (2009). “Production Control Principles.” Proc. 17th Annual Conference of the International Group for Lean Construction, Taipei, Taiwan, 489-500. Ballard, Glenn and Ari Pennanen (2013). “Conceptual Estimating and Target Costing.” Proc. 21st Annual Conference of the International Group for Lean Construction, Fortaleza, Brazil, 217-226. Ballard, Glenn and Paul Reiser (2004). “The St. Olaf College Fieldhouse Project: A Case Study in Designing to Target Cost.” Proc. 12th Annual Conference of the International Group for Lean Construction, Elsinore, Denmark, 234-249.